Best places to find graduate media jobs | One year, one job. It’s graduation season right now, and there are hundreds of thousands of people across the country questioning just what the end of university means to them. The headlines are full of doom and gloom when it comes to graduate employment (especially when you’re a humanities/arts/*insert nearly any subject here* student…) but I keep seeing job adverts for entry level/graduate roles and thought I’d try and collate some of the best places I’ve been seeing job ads listed. I know, I know, I hark on about job opportunities/work experience on Twitter quite a bit, but I wouldn’t keep talking about it if I didn’t believe it was a great platform for finding employment. Check out feeds such as UK Fashion Intern for retweets of lots of interning opportunities (not just in fashion!) and take a look at the search streams for #Jobs and #GradJobs for more permanent roles. Additionally, Twitter is a great place to find out about non-advertised roles as often staff will tweet that their office is looking for someone before spending money on a more formal recruitment process. Just today I saw a tweet from a We Are Social staffer saying their office was looking for new staff and were welcoming applications. I quite often retweet any opportunities I come across too so be sure to follow me if you don’t already. It’s been honed on about in uni careers chats (particularly at The University of Manchester) but I still know loads of students who either don’t have an account or have an incomplete profile. If you fill in your employment history, skills and make some connections, then the creepiness amazingness of LinkedIn’s technology means you’ll start seeing job profiles appearing in your feed for roles that suit you or click the ‘Jobs’ tab for a fuller list. Sure, sometimes they get it tremendously wrong, but I’ve seen quite a few ads appear in my feed which I’d definitely be applying for if I didn’t have my job offer. There are a few sites I keep an eye on for graduate media roles that I’d recommend. Diary of a Publishing Professional does a great weekly round up of internships and graduate roles in the fields of publishing, marketing and journalism. If you’re wanting to work in digital marketing, social media or a more technical role then I always see great opportunities through Bubble Jobs (who are currently hiring their own social media executive) as well as Orchard although the latter is often aimed at those a step after graduate roles. Another site worth signing up to (particularly for Manchester students or anyone local to the city) is Manchester Digital who offer a great weekly newsletter of opportunities as well as listing events that would be great opportunities for some networking to discover the hidden job market. And if you’re interested in journalism/TV/Radio roles then it’s worth keeping a keen eye on Media Muppet for a range of job and internships listings (as it happens, they’ve also got a great blog post about other sites to find media jobs too). Another thing to think about is that if you end up finding an internship in London but don’t live locally, then there are sites such as Room For Tea which specifically aim to find reasonably priced London accommodation for interns. And if not, there are always hostels which can provide a solution to those travelling to the capital for work. 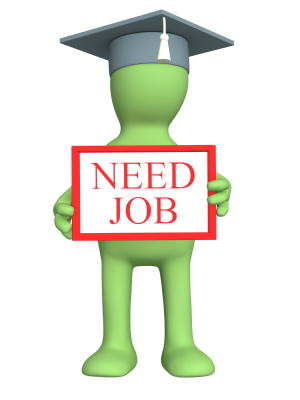 Do you think it’s possible to find a job without graduating from the university? I think it is. I know The Juice Academy in Manchester are offering many social media apprenticeships at the moment for school leavers onwards which offer paid roles alongside studying for qualifications in the field. I’d definitely recommend looking that up for those interested in a career in social media. Thanks for the information! Although I’m not from the US, but I’m sure that one day I’ll have to start looking for some job connected with media. These are all UK opportunities so far! Best of luck with your job hunt!